This little corner of mine on the internet has brought amazing opportunities over the years! In the past 6 months I’ve been in a national brand’s TV commercial and on their YouTube channel, be a part of a weekly Podcast radio show and worked with amazing brands to provide paid content. 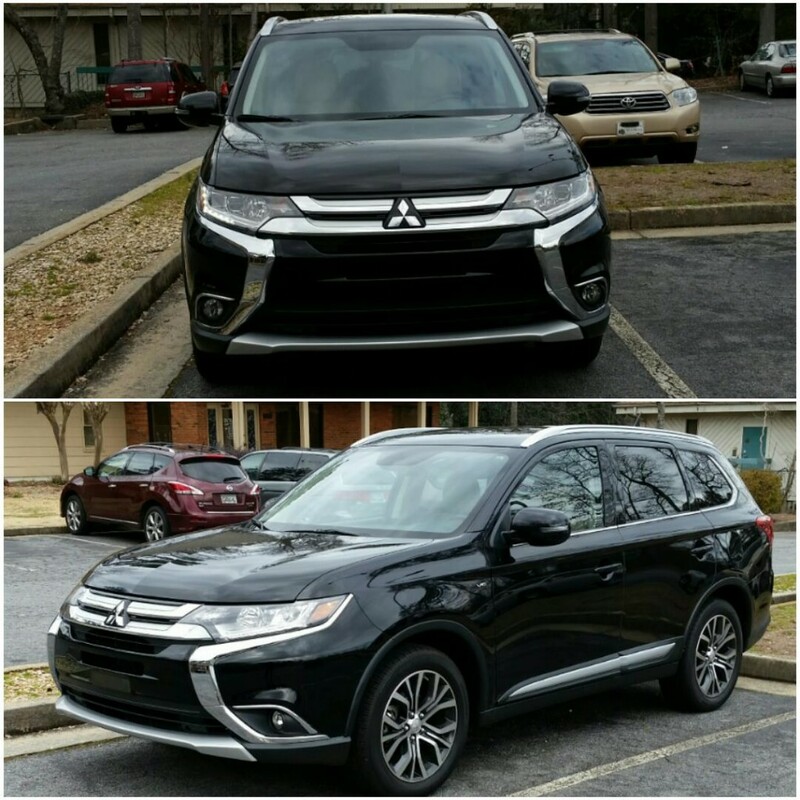 I recently had the opportunity to test drive a 2016 Mitsubishi Outlander 3.0 GT for a week! What does this have to do with food? Well food has to be bought and transported and I buy a lot of food. One of the features that I loved about the Outlander was its roomy trunk; I loved that the trunk opened up with a touch of a button. 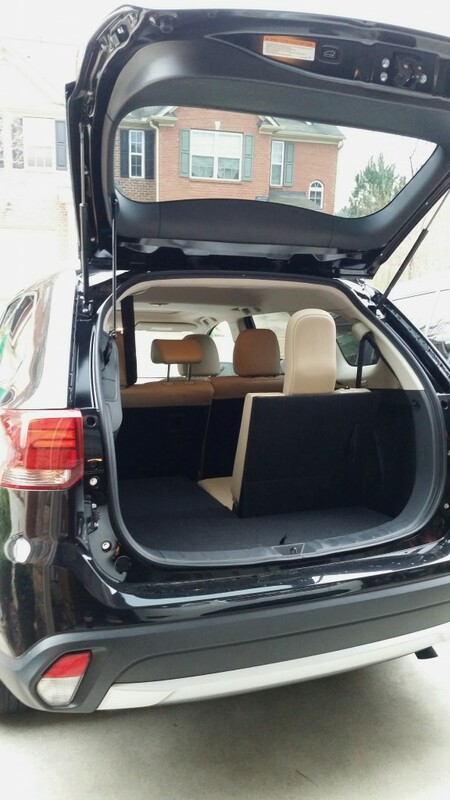 As if the trunk wasn’t roomy enough, there is also more cargo space under the floor! 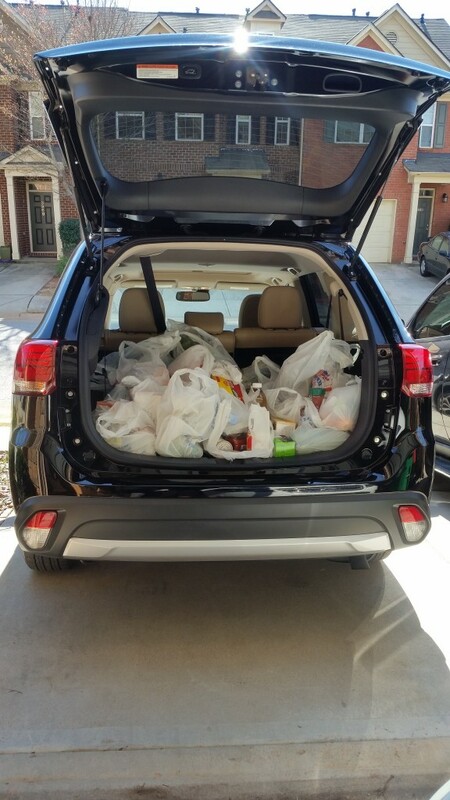 I took it out on a grocery shopping trip and my groceries fit nicely in the trunk with room to spare. I think it’s safe to say that there is more than enough room for my lifestyle. Since I usually make daily trips to the grocery store (seriously), I burn a lot of gas with my current vehicle so I loved the AWC ECO mode that allows you to get the best miles per gallon. Another way that the Outlander helps to save on gas is by listing the nearest gas stations on the real time traffic navigation system and it actually shows the prices! How amazing is that? In addition to the ECO mode, the Drive Mode Selector allows you to switch back and forth between modes such as normal, snow and lock. This fully loaded model comes loaded with handy features like a back up camera, One-touch Start/Stop Engine Switch, third row seating, heated front seats, hands free Bluetooth, lane detection warning, rain detecting wipers and many more! I loved that the lane detection feature senses when you are crossing the lines in the road (without indicating) and gives you a gently warning. We all know how it can be driving with a child in the back; sometimes we can become distracted so I found this feature to be very useful. 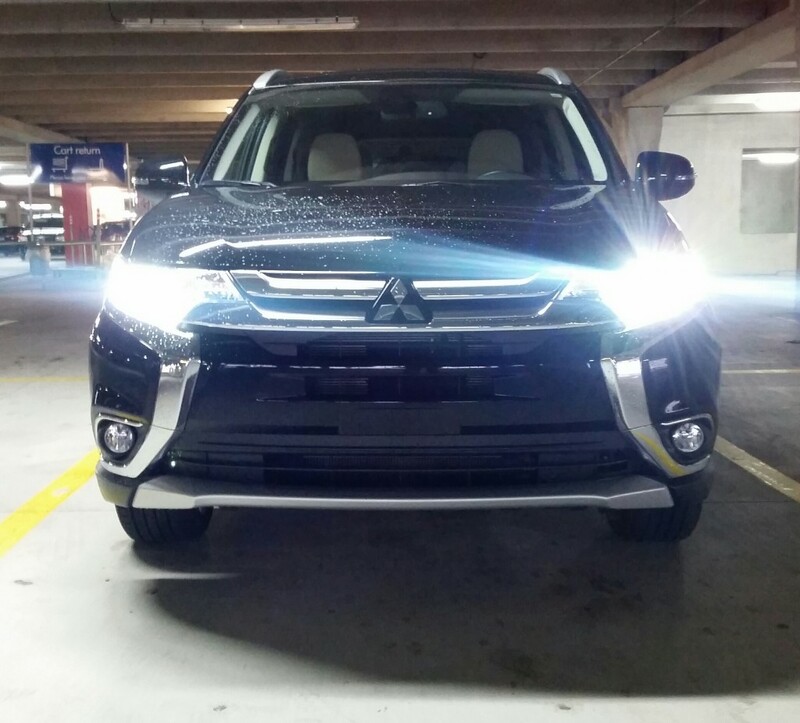 I had a pleasant experience driving the Mitsubishi Outlander for the week and was pleasantly surprised by some of its features in this crossover utility vehicle starts at $22,995. 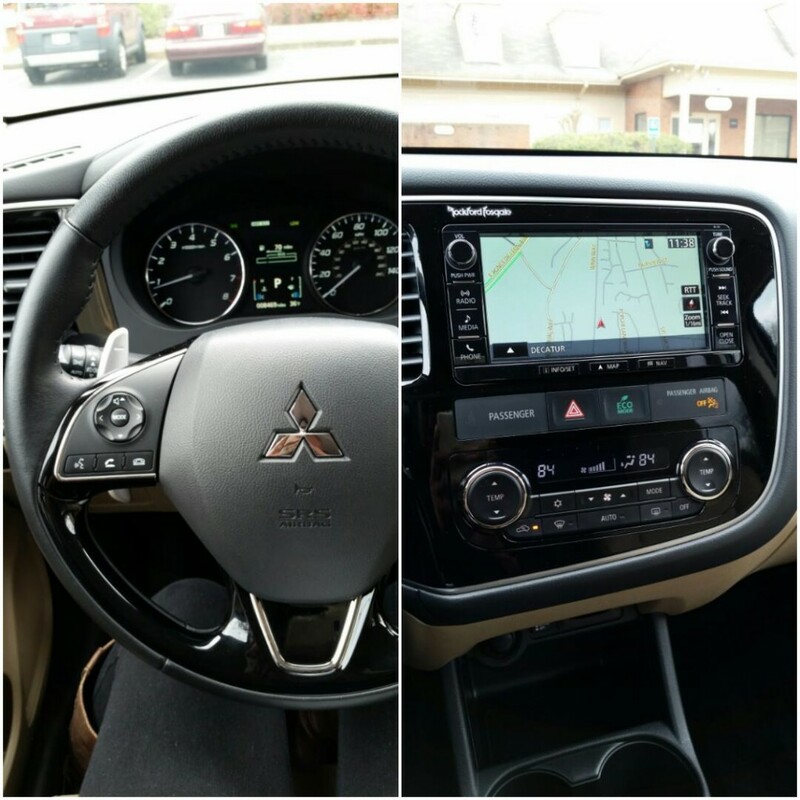 Thanks to Mitsubishi for this opportunity. I was loaned the vehicle for my honest review; all opinions are mine alone. I was not compensated for this post.